This study of women and gender in a Muslim society draws on archival and literary sources as well as the life stories of women of different generations to offer a unique ethnographic and historical account of the lives of urban women in contemporary Azerbaijan. 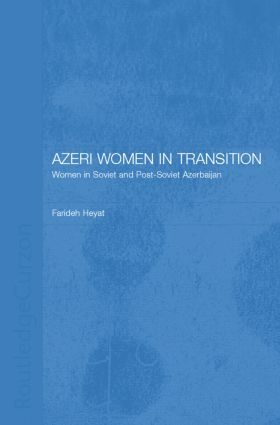 Focussing on a group of professional women in Baku, it provides insight into the impact of the Soviet system on the position of Azeri women, their conceptions of femininity and the significant changes brought about by the post-Soviet transition to a market economy and growing western influence. Also explored are the ways in which local cultural expectations and Islamic beliefs were accommodated to different modernisation projects. Farideh Heyat is an anthropologist and writer, currently based at SOAS, University of London.